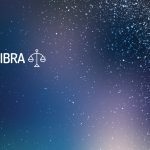 Here, you can find out more about the weekly Horoscope for Libra, from April 22nd to April 28th. Every week, WeMystic will bring you the forecast for Love and Relationships, Health and Money & Career. Someday you’ll look back and laugh. Singles: how far do you go for love? When your limits are tested, you discover the answer to that question. There is no reason to do anything that makes you uncomfortable, Libra, unless you have considered the possible consequences and are well with them. It’s good to stay calm over the weekend, especially if you are in an embarrassing situation with your crush. Someday you’ll look back and laugh. Engaged: are you jealous of your partner, Libra? This is not always easy to admit, but it can be true anyway. Fortunately, these are probably fleeting feelings that should disappear by the end of the week. There are issues to deal with over the weekend that seem unfair, but at least you can handle them together. For some reason, dislike is a lot easier to overcome when you have someone going through it with you. Practice patience with your unconscious mind. You may feel a bit unbalanced now. The house and inner emotions are highlighted, so you may find that you have no confidence or a basis to hold on. As things are changing, your dreams are exploding with all kinds of strange images and signals. Practice patience with your unconscious mind. It is trying to tell you something that will bring financial abundance over time. You can shine in any situation that includes food or benefits the interests of families. Make the most of it at the beginning of the day because your energy will be stronger. This period is important for making productive contacts. You can also build more connections with current customers. Expect to make changes to your schedule. You may suddenly manifest and speak your thoughts only to repent later. Relax and relieve stress over the weekend. A lot of activity will take a toll on your body. You need to pay special attention to how much relaxation time you give yourself. If you exercise in the morning, make sure you go to bed early enough at night. Do not do a thousand things at once or your immune system can be at risk. To encourage you to relax, get into the habit of drinking herbal tea (a great excuse to be quiet for half an hour). Sometimes you may have a muddy mood that lasts days. It does nothing for your well-being. It can drain your energy and make you feel worse. Do not let the tensions and pressures of life come to you now. Add some workout to your daily routine. This will revitalize you and help you overcome any challenge you face.